My name is Steve Johnson. I am the co-owner and manager of the multi-award winning centre Tops Fitness and Rehabilitation. I have worked at this venue for over 30 years now and my passion for what I do has never been stronger. My main specialised field is looking after competitors going to compete on the bodybuilding stage through my Steve Johnson Coaching duties. I would be considered in the industry as a Prep Coach and I deal with all aspects of competing from training and nutrition to stage presentation etc. I am also an official bodybuilding judge and travel the country judging at bodybuilding shows. I’m also a judge for the National Fitness Awards held in conjunction with Workout Magazine. I visit and speak to schools about the importance of fitness and did a Q & A at the National Fitness Conference back in 2015. I write for a few of the industries publications and I am currently in talks about working with numerous other counterparts. NABBA Mr Universe 2017 ???? I have also been recognised for my long standing work in the Fitness Industry when I was given a “Lifetime Achievement” Award at the National Fitness Awards in 2016 which I would say is my biggest achievement! My age is 52 at present. I am 5ft 9” in height and current weight as I start my competition prep is 16 stone 0lbs as of 8th August 2017. I have always had a fascination of muscle and remember in my young years being in the car with my dad as he drove past a gym and I saw someone leaving a gym in a vest looking all chunky and being impressed. Nagged my parents for a bull-worker and regularly used it to improve my strength. Roll on 10 years and I walked into my first gym (Tops Health Club which I now own as the multi-award winning: Tops Fitness and Rehabilitation). I regularly lifted weights and bought the occasional bodybuilding magazine but it was only when I attended my first bodybuilding show that I was hooked and the dream of competing began. I am also thankful that I met my now good friend Ian Hill (a seasoned competitor) in the late 80’s at a show and he took me under his wing and made sure I educated myself in all aspects of bodybuilding. He then coached me to my first appearance on stage back in 1990 and there followed a number of success’s. Strange thing is since then in recent years there has been a role reversal where I have coached him. Funny how life turns out. I am surrounded by a lot of positive people but my main motivation I would say is my will to succeed and the fear of failure. I don’t really need motivation to train as it is just something I do, a part of my life as habitual as eating. My clients also inspire me. When I see them creating positive changes it gives me a buzz and the determination to do likewise. I part own a centre that has a rehabilitation side and some of our clients have severe injuries as we specialise in the neuro-physio side. We treat spinal cord injuries, strokes, head traumas, bomb victims, amputees etc. When you are surrounded by these people all striving for a better future you can’t help but get inspired. I am lucky and privileged to spend each day in the environment that I do and it helps me strive to be the best I can be. I have found many routines and styles have worked well for me and as I have got older I train a lot smarter to avoid injuries. This means I use a lot of “mind to muscle” connection training where I heavily tense the targeted muscle through the full range of my movements. I always vary routines and would say I very rarely double up on a routine to keep those muscles guessing. I live by the DOMS which always re-assures me muscle breakdown as occurred. In recent years one of my most productive routines and biggest improvements of areas is my calfs. I had assistance identifying my lapse in full range and since I have applied this technique my calfs have responded better than I could have wished. Having said that my favourite calf session involves 360 reps being performed. I do 6 sets of 20 repetition standing calf raises (heavy load), followed by 3 sets of 20 repetition calf raises on the leg press machine (heavy load) and finally 3 sets of 20 reps from the floor, straight into 20 reps on the elevated board then finally 20 reps with my heels elevated and blast through 20 constant tension high range reps. This triple set is performed solely against bodyweight! Another technique I always adopt when training calves is to have my feet pointing in alternate sets and feet pointing out alternate sets. I believe this has improved the shape and width of my calves. I like many exercises and as my training style consists of variation all exercises get adopted at some time unless my technique dictates otherwise. Like most people I am going to highlight “deep” squats. Squats (in my opinion) are the best exercise there is to help build muscle tissue. I am sure many people know that we release more natural testosterone through training legs than when training any other body part but we also know leg training isn’t for the faint hearted. These days I don’t squat with a free bar as I don’t trust my style. When under decent restriction I can’t stop my hips tipping and my lower back and oblique’s taking much of the load. This is a big no no for me as I have to avoid injury and also do not want to thicken my waist by overworking obliques. A wide waist is prevalent in the ageing bodybuilder and a negative when it comes to achieving onstage. Instead I go for squats in a controlled smiths machine environment. This way I can move my feet forward and maintain balance and eliminate excess pressure on the lower back. I can also do controlled “deep” squats where my backside nearly touches the floor without losing my confidence due to balance issues. So in essence deep squats on smiths would be my overall most important exercise. What is the bodypart you are most proud of, and how did you get it to that stage? I suppose I have a few body parts that have become proud of along with body parts I am not so happy with. The improvements to my back width and calf size is very satisfying but I am most proud of my hamstrings. These can be a game-breaker in competition as I have good depth but best of all they separate and show detail really well and a lot of bodybuilders out there lack in this area. On stage I am most confident when I pose hamstrings that I should be winning that shot. My diet has varied over the years. When I was young my off-season nutrition didn’t follow any particular structure but that has all changed. Now I am an ageing competitive bodybuilder my body (and in particular skin) is less forgiving. 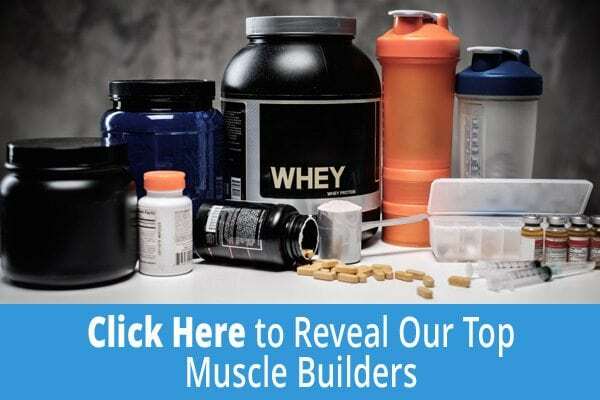 Gone are the days of putting on bad weight in the search for the elusive muscle gains. Now I keep pretty much within 10lbs of my stage weight. This makes prep much easier and can be taken at a steady rate meaning less chance of muscle loss. In essence my diet has now become habit. I eat the same clean foods (higher amounts) as I do on prep with a more relaxed attitude to sauces and flavourings. How does your training and diet evolve as you get closer to competition? My training and diet gets adapted as I go along on my prep but is always dependant on my results. I don’t change things just for changing its sake. I still mainly train heavy with tempo increasing the closer I get to competition. I let my diet do all the work at the start and generally wouldn’t introduce cardio until the final 6 weeks if all is going well. I like to keep cardio in my back pocket as I don’t want to be doing hours of cardio and ruining my body close to stage time. Its all structured towards the timing of the end product and so far holding cardio back until I need it to work on the last bits of stubborn fat has served me well. What is the one food you couldn’t live without and how do you handle food cravings? I am not ruled by the taste of food but probably my favoured source of carbohydrate is sweet potato and my preference as far as protein goes is lean red meat. Having said that the main percentage of my diet contains white meat such as turkey and chicken. As I have aged food cravings don’t hit me as hard but occasionally I will get slight sugar cravings. If I feel I have to address this (normally focused mind-set is enough) I always keep some sugar free jelly made in the fridge in small tubs. A few spoonfuls of this and the craving has gone with no damage being done to my prep. Its not always about suffering! I am very lucky to be sponsored by Muscle King Nutrition which is a local company to me whose products I have used for over 15 years. Owning a centre means I can also sell these products with absolute confidence and honesty. I have been honoured in my time to have been approached for supplement sponsorship from 5 other companies with two of them wanting me to bring out my own range but I am so happy with my current sponsors and like to remain loyal that I have never been tempted away. In fact in the beginning I used one of these sponsorship approaches as a lever to get in with my only ever supplement sponsors. I like the fact they are a family run business and really care. As soon as I receive my Mr World winners trophy back from the repairers it will live with my sponsors such is my thanks for their support and generosity. My favoured supplements to take differ through the year as I like to cycle things to keep them effective. I tend to have a daily multi-vitamin, Glutamine (my favourite) and BCAA’s all year round in a quest to protect lean muscle tissue. As my prep starts so does my supplement intake as this is the time it’s essential to have the body firing on all cylinders. My supplements on prep include: Lean Whey Protein, Casein Protein, Multi-Vitamin, Creatine (up until last 6 weeks), L-Glutamine, BCAA’s, ZMA, HMB, CLA, Digestive Enzymes, Super Cissus (for joints). In my final week when I am concentrating on my water balance I also introduce Vitamin C, Potassium and Magnesium as part of my water balance manipulations. Hope your bodybuilding is going well and keeping you busy. It was good to see your victory at NABBA World Bodybuilding Championships 2017 in Samara, Russia. Wondering were you get your posers you wear in competition from. The cut and color you wear always looks stunning on you. Do you like to pass your posers on? Would be keen to get hold of any of your posers.